Is Velveeta real cheese? NO. What's in Velveeta? A scary long list of ingredients. Should you make your queso with Velveeta? Please don't! Paula Deen has multiple Velveeta fudge recipes. Just like American cheese, Velveeta can’t legally call itself cheese. Instead it’s a “pasteurized prepared cheese product.” Yum? It has a scary long ingredient list. Here’s what’s in it: milk, water, whey, milk protein concentrate, milkfat, whey protein concentrate, sodium phosphate, and 2% or less of salt, calcium phosphate, lactic acid, sorbic acid, sodium citrate, sodium alginate, enzymes, apocarotenal, annatto, cheese culture. Even American cheese needs to be refrigerated! “Cheese” that can be stored at room temperature for months on end must have a concerning amount of additives. It’s bad news for anyone who’s lactose intolerant. Normally, fresher cheeses contain more lactose, but Velveeta defies all logic. Averaging at 9.3%, it has even more lactose than real cheese. Cheddar usually maxes out around 2.1%. Queso with Velveeta isn’t that good. 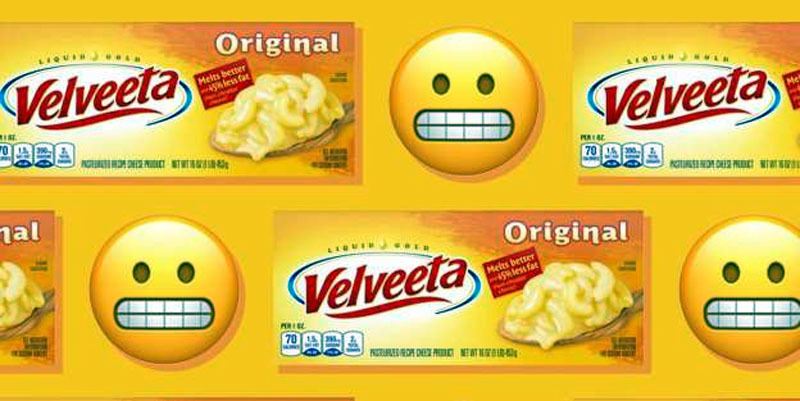 I know that by saying this, I'm basically asking for hate mail...but I truly don't understand why people are soooo obsessed with Velveeta + Rotel. There’s zero sharpness, tang, or depth of flavor in Velveeta. In fact, I find the flavor almost impossible to describe. It’s kinda sweet, eerily creamy, and overall really bland. (Yet somehow it leaves an unpleasant aftertaste.) Queso made with real cheese (and topped with fresh tomatoes) is 1,000x better.